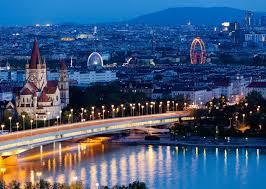 Real Estate in Austria attracts buyers with its prestige and prospects. The housing market in Austria is stable and available for wealthy investors. There are peculiar legal aspects relating to registration of real estate transactions, which differ in the various districts of the country. But these can be easily overcome with the help of an experienced specialist. The country has a wonderful nature and favorable climate. Cities of this country have a developed infrastructure and in general Austria has a strong economy and a reliable legal system. Foreigners are allowed to buy real estate in Austria without any restrictions, they just should get a relevant permit in the capital Vienna. In Austria properties directly from the builder are available to the attention of foreign investor .These properties are already finished or under construction, and there are also many properties that are part of a secondary property market. In the major metropolitan areas with a rich history there are particularly no new buildings, or they are found only in the outskirts of the city. However, the historically valuable buildings are beautifully restored and available to purchase. What kind of residential real estate in Austria will be offered to you? Real estate in the country is diverse: there are flats, apartments directly from the owner in residential complexes and individual family houses and villas. There are options for location on beautiful lakes, away from the busy city life. The most topical property in Austria - this is, of course, the estate in Vienna, restored from the outside in order to preserve the original facade and with a new layout inside. The city of Graz also enjoys with a good demand – this is the biggest student city in the country. Buying a property in Austria, what are the benefits? Buying a property in Austria is not difficult if you consult a serious real estate agency or a lawyer with experience. Of course, there is no sea in the country, but you will receive pure nature, combined with the ability to live in perfectly developed cities and to rest in the ski mountain resorts of Austria, which are among the best in the world! The magnificent Austrian mountain lakes compensate for the absence of a sea, as for the season they are warmed up to completely comfortable temperatures. You will also receive stable and high rental incomes and a profitable resale, if that kind of a need arises.